Showing results by author "Debby Graudenz"
Companion to Prayerbook Hebrew is designed to accompany the popular text Prayerbook Hebrew the Easy Way. Several voices introduce the rich variety of Hebrew heard in congregations today. Sephardic pronunciation reflects contemporary usage and insures comfort in a variety of Jewish settings. 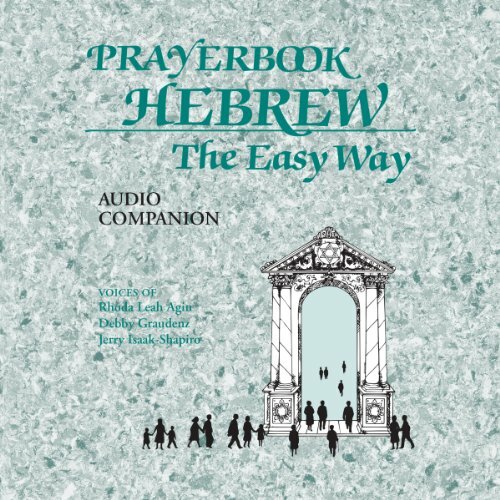 All Hebrew content in Prayerbook Hebrew the Easy Way is presented orally along with familiar melodies of the most frequently recited prayers.